AEON Badges, Sales, Zukan Auctions, oh my! ★What: AEON limited can badges of EVERY B/W Pokemon WITH AR cards! No Genosect or Therian forms. ★How: Comment to this post with your list. I'll make a payment post early next week! Request as many as you like. Shipping begins at 4$ and increases by 1$ per additional badge. ★Keep in mind: Some may be sold out. I will let you know after I make my trip if anything was gone. Sorry in advance! EDIT: TOTALS ARE IN! pay anytime! Sunyshore has Many new Items! 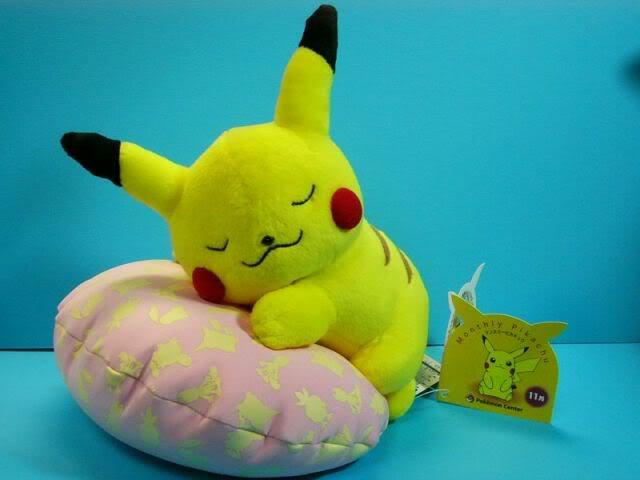 Besides the POKEMONO GOODS advertised a few days back (with Snorlax Pillow Reservations still going strong!) there are many other goodies. Now onto some smaller, straight sales. just 3 hours left on my auction! a lot of picssss so beware! Bunnies, News and an upcoming Group Buy! Beastly Legendary GA: myvampirelust19 says the box is being picked up today by the courier. It's being delivered to my parents house, who are not home until Wednesday, so we'll have to wait a few days to find out how that goes. :) If all goes well, your items should be ready to start leaving on Thursday. Any Pokebox or Eevee lovers out there will be thrilled to know I've spoken to the Pokebox English distributor to get you guys a group buy for the out of production Eevee charms and Umbreon charms! The artist has agreed to allocate some of each charm to you guys! If all goes well I should have a post about that early next week. The Eeveelution and Pony charms Pokebox make retail at under $10 each before postage, but I do not yet have a price for these remakes. I imagine they will cost similarly. I'll be handling the payment collection, and my extremely efficient parents will be helping me organise and mail them to you. Lately I realised I've not shown my bunnies for a while, and I have some fairly strange bunny merch. That just won't do! So without further walls of text, here are my bunnies (and what they are for any seekers of the lagomorph). 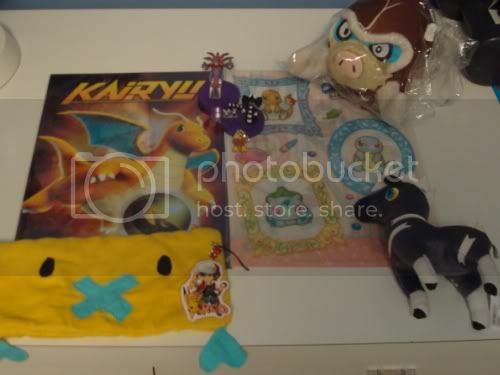 BTW: Some kind of Pokedoll is on the Oshawott cloth. It says 2003, is velboa and Japanese. 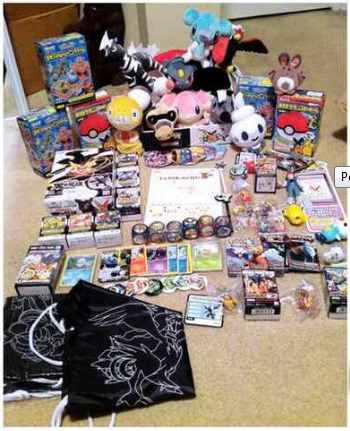 I don't know if it's legit as it came from a GA and I know nothing about Pokedolls. Anyone? Again, we apologize for letting this happen. I'm sorry for the inconvenience to everyone. zakiax1 Both were picked up! Clair2522 Bowser was out of stock, so you got a partial refund. danielsard2 They either didn't restock on Kyurem or ran out of stock again, so I issued a full refund. zombiecarousel Eevee wasn't there, issued a full refund. shinysuicune Again, no Eevee, issued a full refund. I'm going to leave offers open for another 24 hours starting from this post's time stamp. Click here or the picture below to be transported to my permanent sales post! I was granted sales permission on 8/4/11 by denkimouse. Feedback old | new. 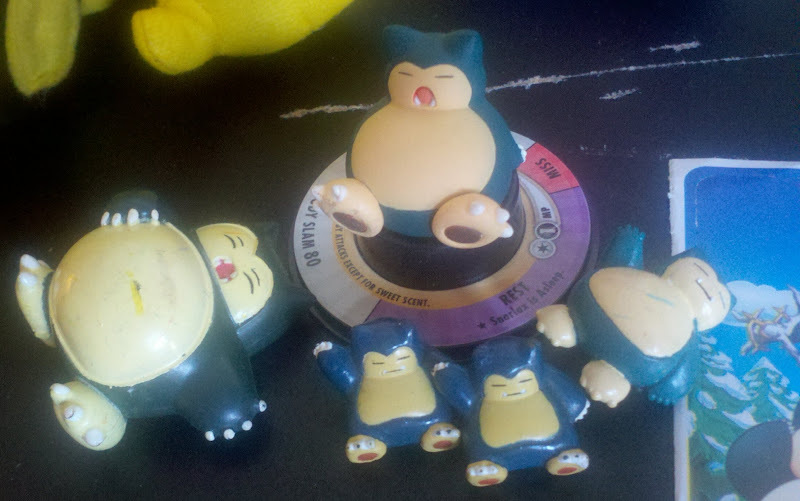 Reason for selling: Decided to focus my Snorlax collection on plush only. Hopefully these find a good home ^^ Includes a sticker off-right of the pic, click the picture to see the full lot on my permanent sales post. I am pretty happy right now, I got the first, and second, of three packages in the mail today! They are the beginning of my new collection I'll be starting. Hey, everyone! I'm coming to you with some sales today! I'm realizing that Dragon*con and Anime Weekend Atlanta are right around the corner and I haven't got much money for it, so I'm kicking my sales into high gear! 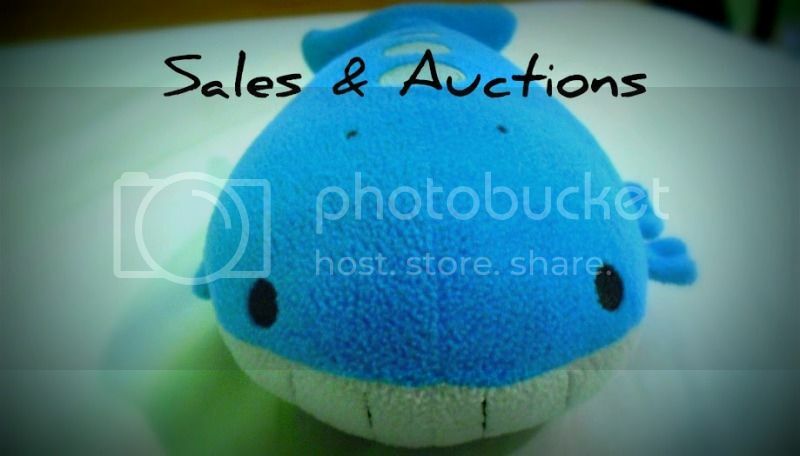 I've got a lot of Pokedolls (including Wailord!) and other plush, so please come and take a look! But wait, that's not all! 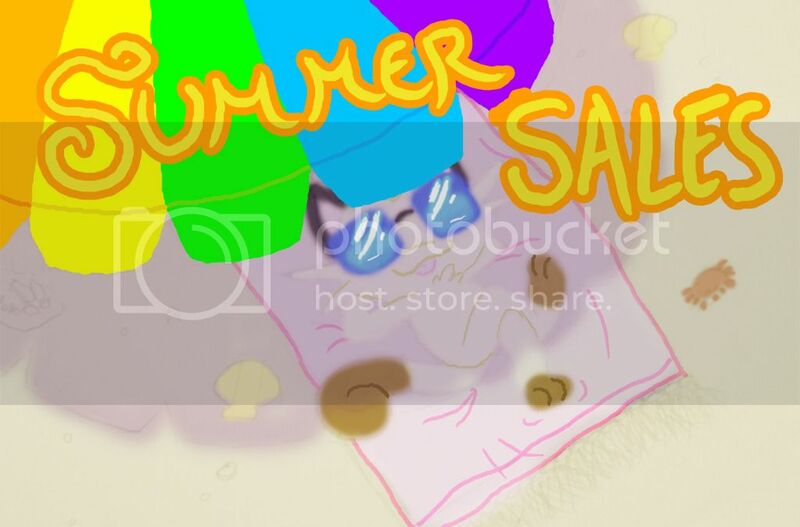 Have a look at my main sales post! I've slashed most of my prices! What is APO/FPO and are fake clipping figures a problem? Hi community! :) I have a few questions I would love to have answered if some of you would be so kind to help me. Is fake clipping figures a common problem? And what do you think about the eevee? Or maybe bootleg sellers should never be trusted. 3. I've seen people have nice plastic pocket protectors for their plushes' tags. I would really like to protect my eeveelution canvases' tags, so if anyone would tip me about a good place to find them I'd be very happy. Reminder about the B&W GA.
Again, most things started from $2-$5! 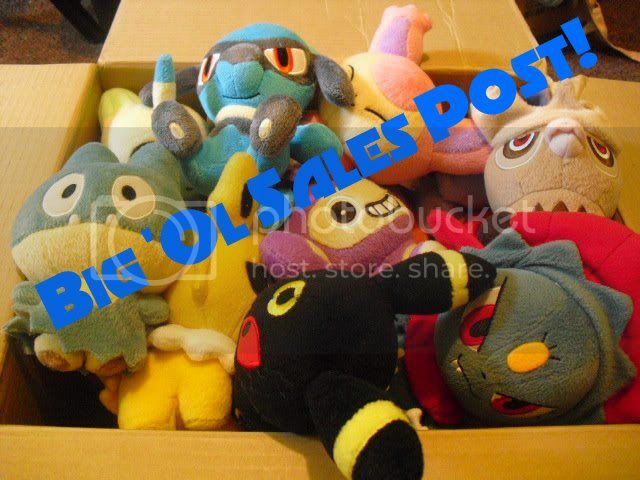 Pokedolls included! I've been back from Japan for about a week now, but I'm finally getting around to posting my collection update! I've got mostly items I bought in Japan, some items from my deputy box, and then some from you fine people on the community! Attention Games and Kids GA Participants! Shipping totals! Also! I'm curious about this bootie. Has anyone bought it, and maybe have pictures? I don't particularly want to buy it, but I'm really curious about what it actually looks like. Hello Pknmcollectors! You can just call me Kalyst, Kal/Kayst/Kay (since Japanese Pokemon games only give you five characters for the name boo) or Cat-any are acceptable. 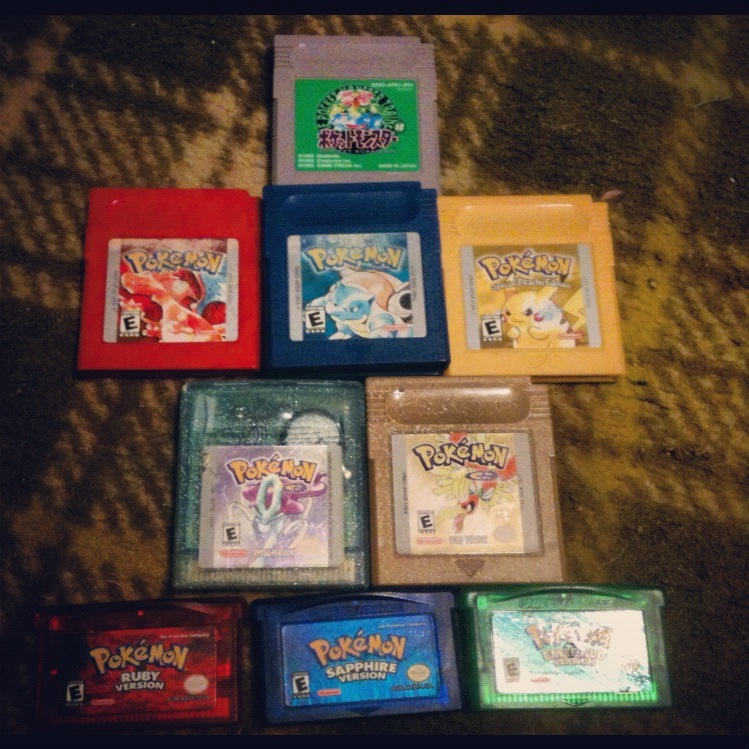 I've been a Pokemon fan since the days of R/B/Y in America-it's been nearly 15 years and I've grown up with Pokemon pretty much all my life. 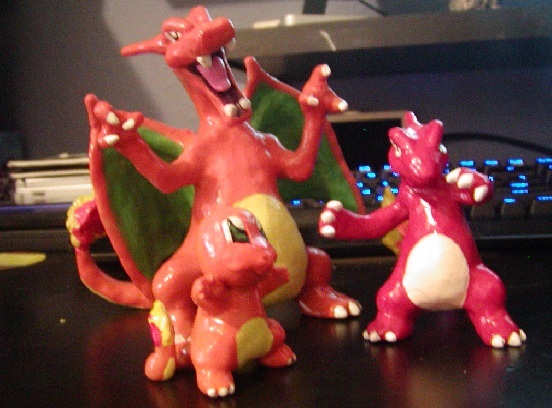 (I'm a 20 year old fart haha) I had a forced hiatus during the third gen due to middle school bullies and beat ups, but I lived somehow "in hiding" and reemerged under the DPP era, where the posers started saying "they liked Pokemons too". My dad bought me my old cards, Gameboy, link cables, the works- and to this day I still have that green Gameboy Color. I also picked up the TCG for a bit then had to stop due to financial reasons. Now, lets fast forward to the present away from the nostalgia, and let's take a look at what the mascot of the fifth gen game covers is up to. Anyways enough about my ramblings, for the TL:DR. I want Reshiram merch as well as Kleado/Meloetta and Absol (Absol happens to be my absol[ute] fav, but merch for her is painfully expensive, so I'll hold off for now.). I've been a fan since I was 5, played the games, the TCG, and am getting back into the TCG in the present. I have a small-ish want list that I'm more than welcome to start checking off, and I'm in no rush to start chasing down people for stuff. Crossing a want off of a list today! My friend gave me all of this and he, is the most awesome friend ever. Good evening! I have a small inquiry for any fellow sellers. I was curious to know if anybody has a Glaceon Kid for sale. I haven't the slightest idea how, but mine somehow got a green stain on her face, almost like bleaching. It's driving me crazy, as I am ridiculously picky about the condition of my items. 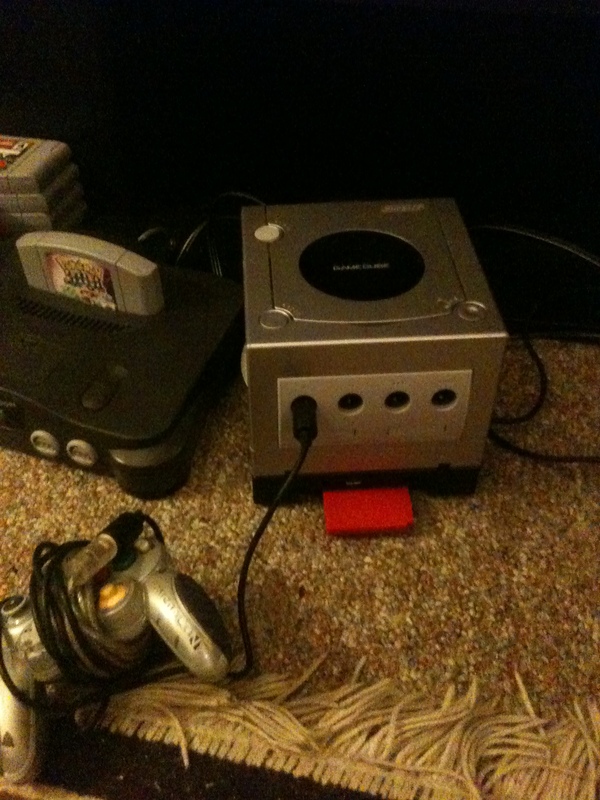 I really want one only in mint condition. I'm happy to pay any amount, though preferably nothing over $10. Thanks! So I was browsing Craigslist and found an interesting lot for $10. To my suprise the lot was located in the town I live in. Does anyone know anyything about the items in this lot? Not really sure what kinds of plush these are, and if they are worth anything. Okaaay the title might be juuuust a little over the top, but I've rediscovered something I've wanted before and now that I finally have room for it, I want it reeeeeeeeeeeaally bad :X Here goes! 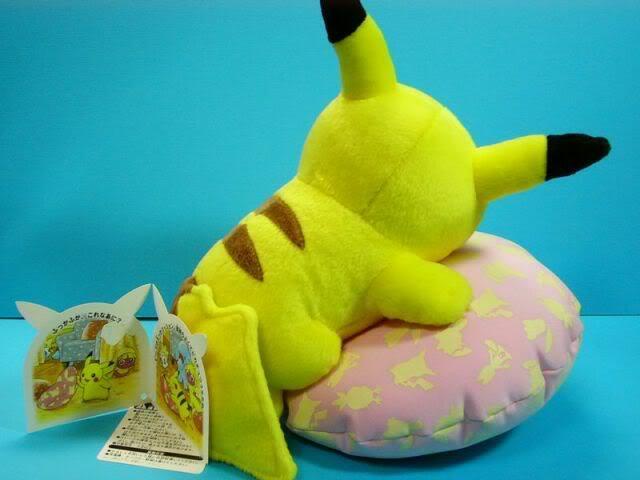 2005(I think) Monthly Pikachu from November! 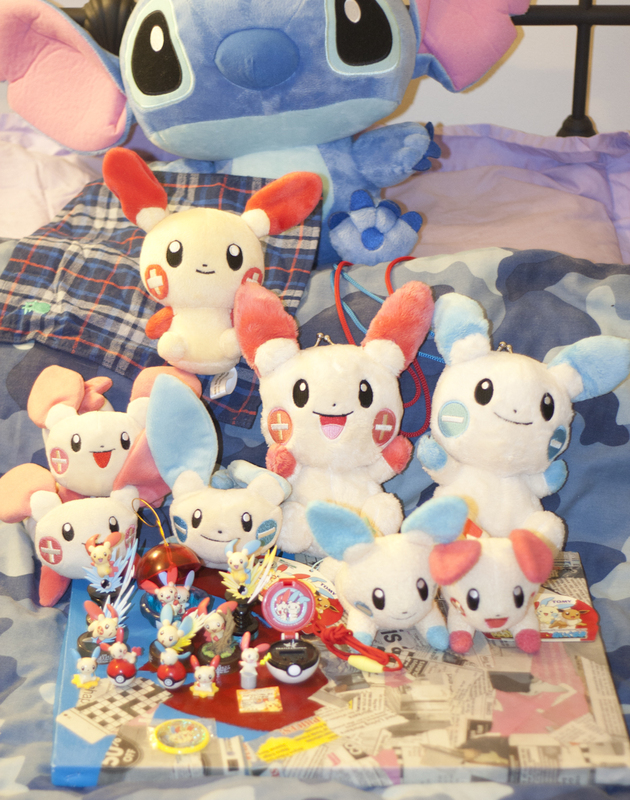 If any pkmncollectors are attending Otakuthon, let's please meet up! There will be a Pokemon Tropes panel at 10am Saturday the 4th, and a Pokemon cosplay photoshoot that day at 2:30. If you're only around on Sunday and I will be hosting a two-hour Pokemon panel from 10-12am. My name is Psychic, I will be in a redhead yellow outfit on Saturday and I'll be a blond Blitzle on Sunday, so please feel free to come over and say hi if you ever see me! Reporting on the merch, HOLY CRAP BOOTIES. BUT! 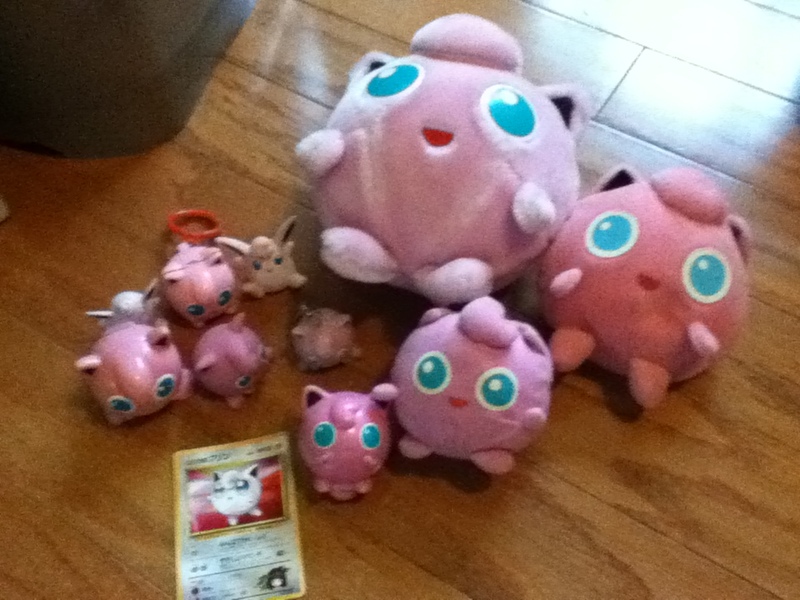 There is one guy who sells legit Poke-plushies! I bought a Purrloin and Serperior from his last year, and my friend has gotten some great Touhou figures from him as well. 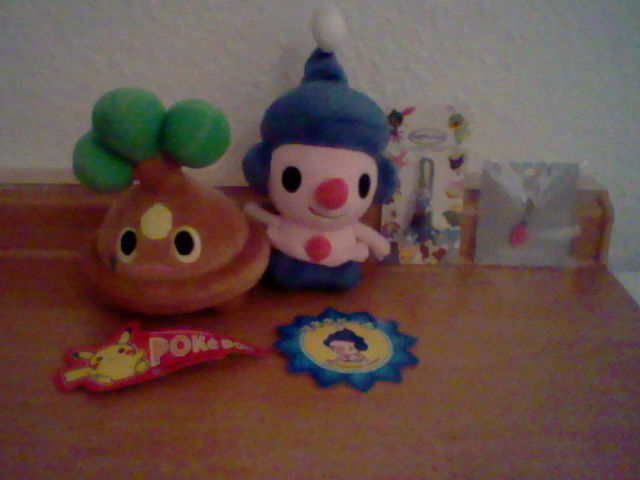 He actually went to Japan and brought back stuff! His name is Andrew and everyone needs to find him and hug him! Not only did he have many Banrprestos, but he also has MPCs and Pokemon Center promotion clearfiles! I was freaking out so much! I've never seen an MPC irl (they're so nice!) and the clearfiles are from promos I had my eye on, but I hate paying for shipping so never got anything from em. XD I do have a clearfile from the Heroes promo, but that was also from someone I met irl from this comm! My haul! Piloswine is for my friend who couldn't make the con this year, and Blitzle is mostly a companion for my Bitzle cosplay! I had wanted to get a Blitzle plush when I made the outfit but didn't feel right paying so much, so I'm super happy to have gotten an affordable one here! The clearfiles are from the Canvas and Dragon promotions! I asked if he had any Canvas plush and YES BUT THEY'RE IN ONTARIO. SOB. I was also very happy to see a booth with zukan! I SEARCHED SO HARD OMG. I had to get one since I loooove zukan.